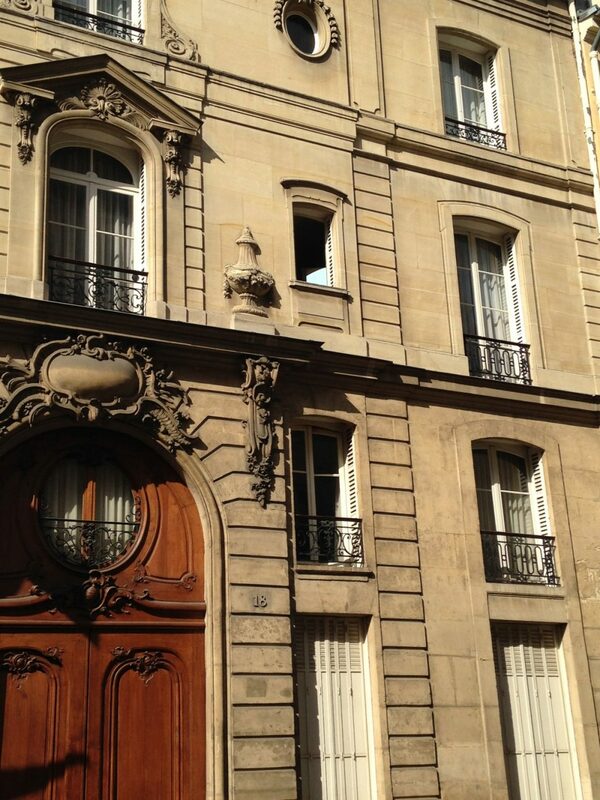 This beauty is along the boulevard St. Germaine on the Rive Gauche. 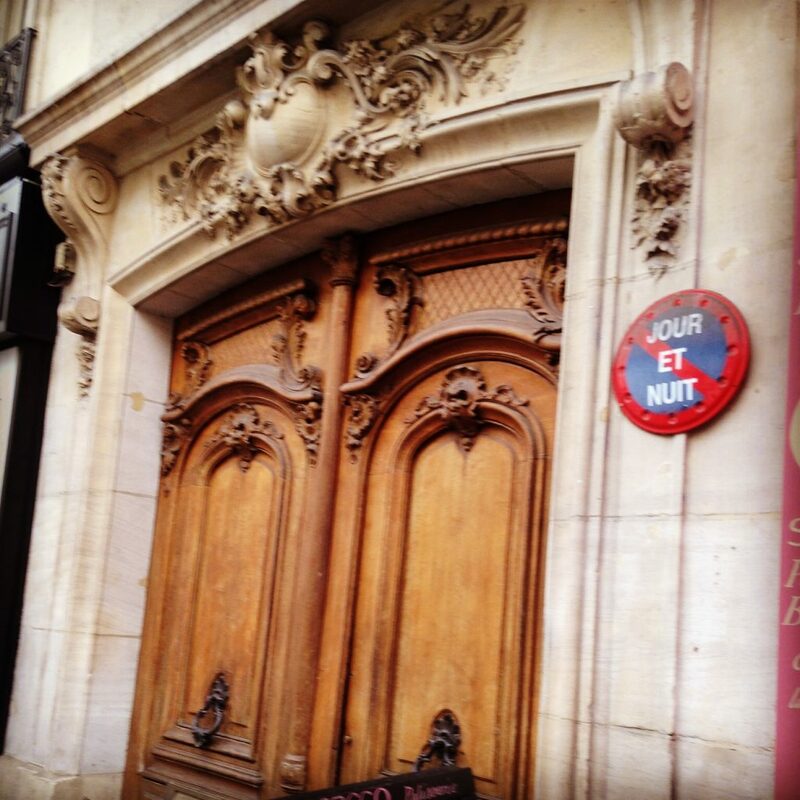 Extraordinary as it looks to us, this is a typical door along the beautiful Paris boulevards. Okay, so the red is a bit over-the-top. But the almost Asian look of this one made it a stand out along the square in front of St. Sulpice. Along the Rue du Cherche-Midi, a quiet street of elegant shops. Just down the Rue Napoleon Bonaparte from Laudauré. 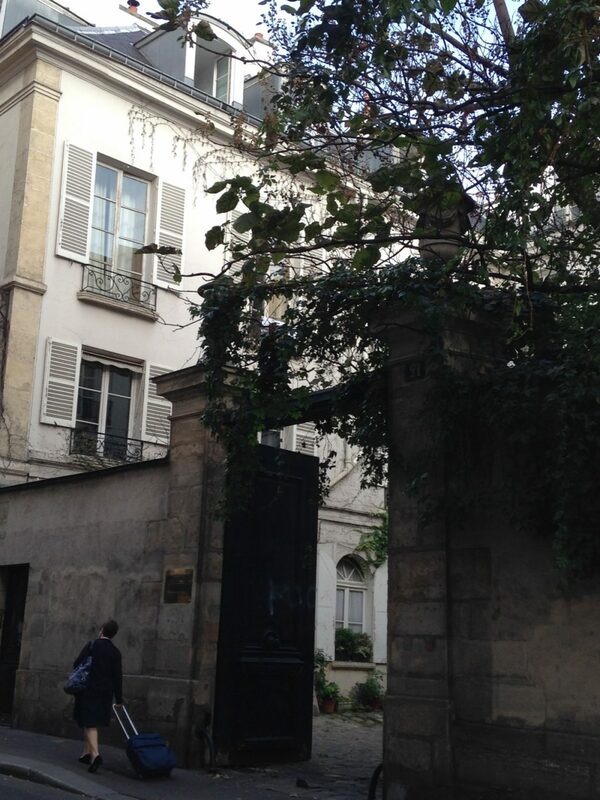 I just LOVED to be able to peak into the courtyards when the portals stood open. 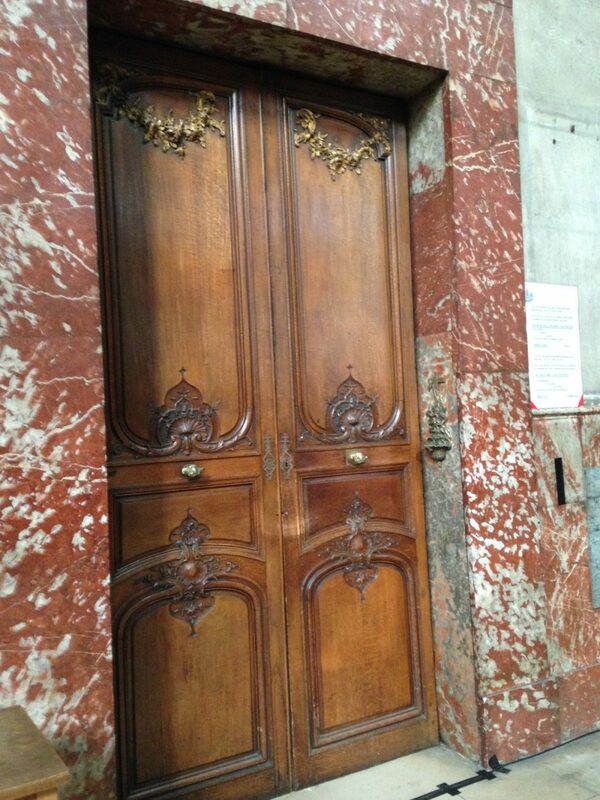 Classic Parisian door. Note the Nuit et Jour sign. I LOVE those!! Some of them even lit up. I can think of sooo many times I could have used one! 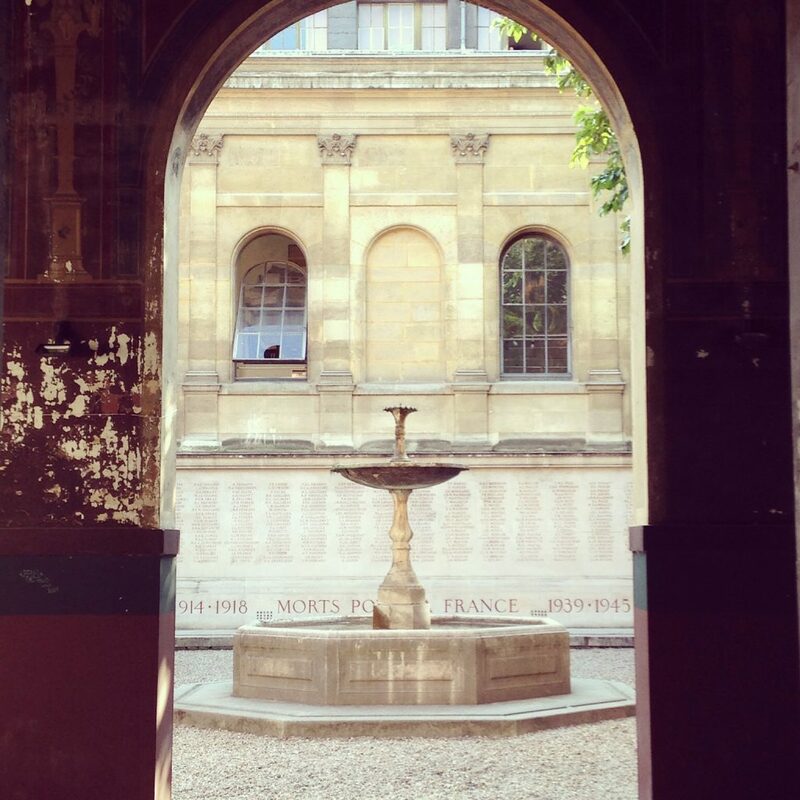 Looking into the courtyard of the Art Academy (yes, the one that wouldn’t accept Claude Monet and his friends). 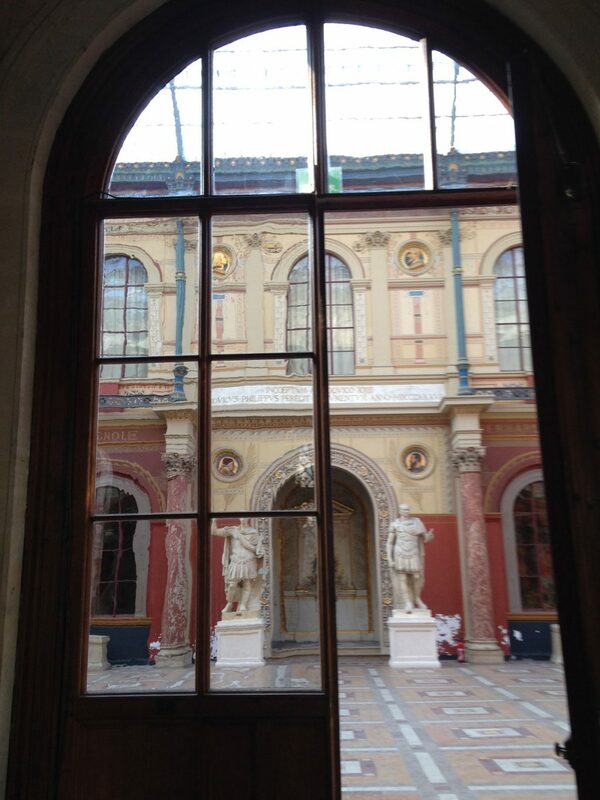 A peak through the doors into the Grand Salon of the Art Academy. In a time before electricity, this glass ceiling was a critical innovation for clearly seeing art. 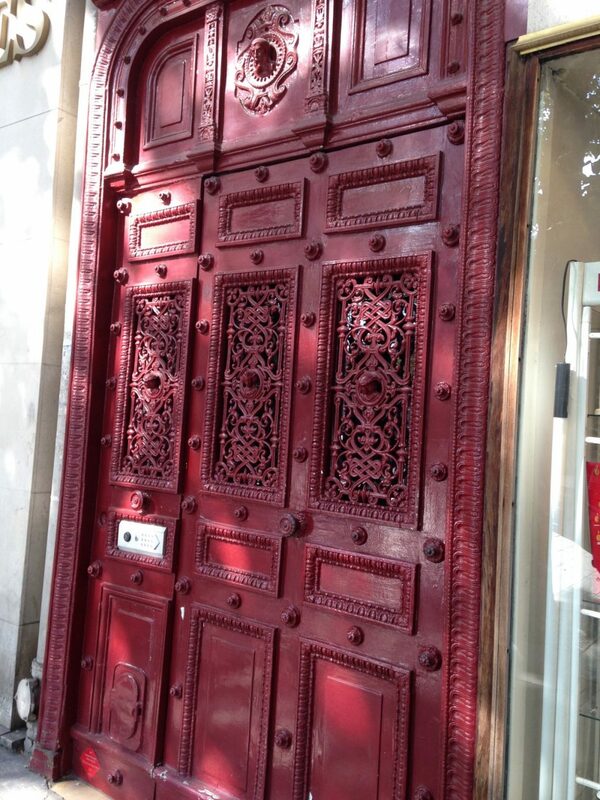 That’s just a taste of the delightful doors, and some of what’s behind them! Hope you enjoy this little peak at Paris. Gorgeous! Thanks for sharing Virginia! Thank you for sharing these beautiful pictures. I am going to France in April and I’ve been looking up all the information I can find. Can’t wait to see some of this architecture in person. Don’t forget your camera – it’s the most photogenic city I’ve ever been in!